ELF Cosmetics Boxing Day is on now! 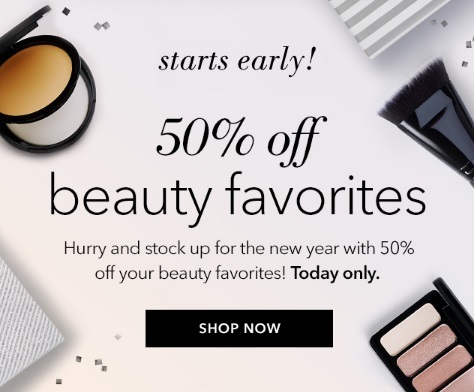 Save 50% off beauty favourites. Hurry and stock up on the new year with 50% off! Enter the promo code BOXINGDAY at checkout. Offer valid until 11:59 PM PT December 26, 2016. Offer excludes new and sale items. Get the discount with any $30+ orders.